The Rainbow AquaMate IV (AM-12) Black version gives owners the best clean possible for their carpets. It offers better deodorizing capabilities, and can even leave floors drier than ever before after reconditioning them! To keep yours working at its best, make sure to order replacements as soon as possible if a part starts to get worn out. Below is a break down of the complete AM-12 Black version AquaMate. 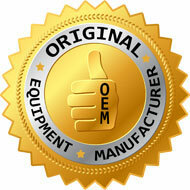 Effective serial number 30000001 with a start date of March 10th 2011 through current production. Cover assembly for the model AM-12 AquaMate IV. Does not fit the older AquaMate III version. You need to remove this part to access even the belt or brush roll. This hose attached to the top of the pump on the AquaMate AM-12 Black and Silver series. Total length is 3 inches from tip to tip. Chassis sub-assembly for the model AM-12 Black AquaMate IV. This part is what everything attaches to including the pump, motor, and brush roll. Nozzle kit for the model AM-12 Silver AquaMate III. This part can sometimes get clogged by soap or sediments, easy inexpensive replacement. Pump outlet tubing for the AM-12 late version AquaMate III and the AquaMate IV. 3 position actuator assembly for the model AM-12 AquaMate IV. Does not work with the older version AquaMate III. Motor / Pump assembly for the model AM-12 AquaMate. If you experience a squealing or burning smell, this part could be the problem. Not an easy part to replace so please review the schematics for details. On top of some motors you may find an old part number listed as R13218. This motor is a new factory OEM direct replacement for all other models and fits both the Black and Silver version AM-12. Brush roll assembly for the AM-12 AquaMate. Comes complete with the brush roll, end bearings, and two trailing arms. Trailing arm for the AM-12 AquaMate. There are one on each end of the brush roll assembly. This part is not easy to replace. Please call the factory at 248-643-7222 to voice your opinion on the process of repairing simple parts on the AquaMate AM-12. Factory OEM brush roll belt for the AM-12 AquaMate. This belt fits both the AquaMate IV and the AquaMate III. Please view the additional image on this item to show the easiest way to replace without taking apart. 3 position valve assembly for the model AM-12 AquaMate. Works on the late version AquaMate III and the AquaMate IV. Electric cord for the model AM-12 AquaMate IV. This cord runs from the motor to the pivot arm and connects to the self docking wands. Pivot arm for the model AM-12 AquaMate IV Black version. Be careful with the wires that run through this part and also with the electric receptacle. Tank assembly for the AquaMate model AM-12 VI and III versions. Holds both the supply water and shampoo solution. Replaced previous item number R13346. First version tank on the AquaMate III had a deeper blue color, this is a direct replacement. Cap assembly for the tank of the AM-12 AquaMate. This cap assembly covers the soap and the water section. Tank cap for the tank of the AM-12 AquaMate. Same cap for both the shampoo solution compartment, and the clean water compartment. Tank cap O-ring for the tank of the AM-12 AquaMate. This O-ring fits all the cap assembly on the tank. Vent tube for the tank of the AM-12 AquaMate. There are two for each tank assembly. Cup seal for the tank of the AM-12 AquaMate. Each tank assembly has a total of two. End cap seal for the model AM-12 AquaMate. This part fits around the motor area of the unit. Clamp for the connection of the liquid control valve to the nozzle kit on the AM-12 AquaMate. AquaMate tube spring for the model AM-12 Black AquaMate IV. Starting with AquaMate serial number 207848, a spring has been placed over the blue tube. This spring prevents the tube from collapsing and not spraying any liquid.